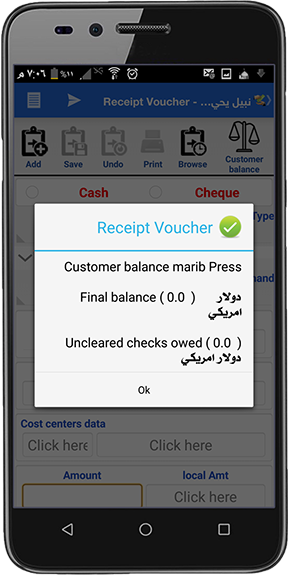 Collection Mobile App is a fast and easy to use managing tool for cash or cheques collection from any smart phone. The app reflects all transactions online on Onyx ERP system. Who benefit the most ...? Compatible with Android operating system. Easy to install on the agent’s Android smart phone or tablet to start collection. Simple App settings to connect to the enterprise Onyx system. Support online mode only for immediate effects on Onyx ERP and all accounts. Different user access right and security settings. Retrieve receipts number from Onyx ERP and send SMS payment confirmation to the customers. Issue payment receipts to the clients. 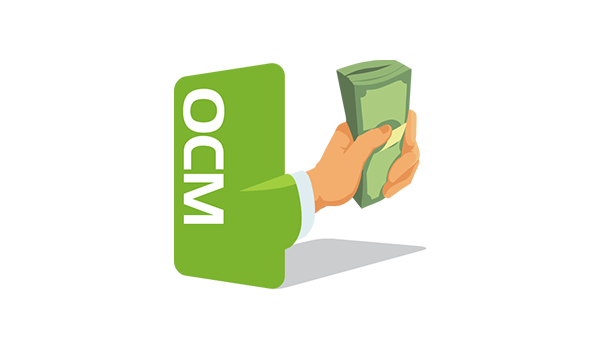 Display the targeted client’s total debit, over dues amount and all instalment details. Capture transactions details and affect all related accounts. Report all collection transactions of any period.